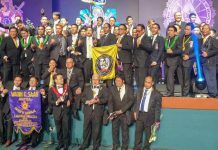 The 39th Public Installation of Elected and Appointed Officers that was held on March 25, 2018 at Mount Mainam Masonic Lodge No. 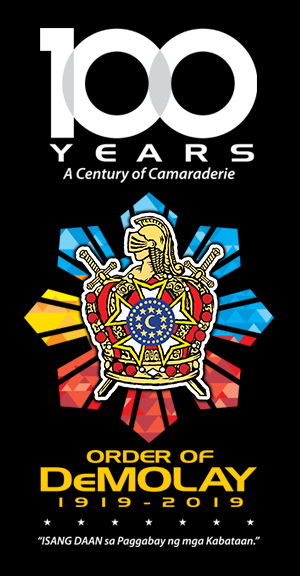 49 F. & A.M., Ibayo Estacion, Naic, Cavite with the motto, “In union there is strength”, was considered a success. All the expected officers and guests attended the event and the whole program proceeded as planned. The event started when the installing dignitaries, Installing Officer Bro. Phoebe L. Casaul, Installing Senior Councilor Bro. 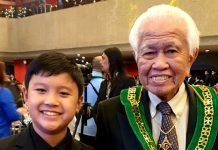 Christian D. Parungao, Installing Junior Councilor Bro. Deonard T. Flores, Installing Senior Deacon Bro Kaizer A. Tampol, Installing Chaplain Bro. 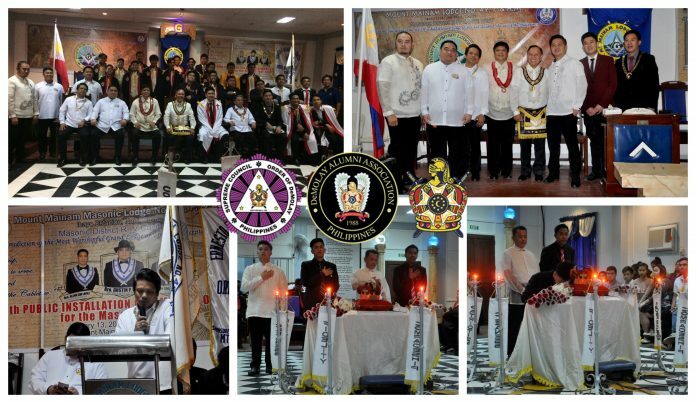 Marzon A. Poblete, Installing Marshall Bro. Erick Aaron M. Valencia, and Installing Adjutant Bro. Jerold L. Casaul entered the hall. During the Ceremony of Visitation, Leg. 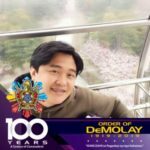 Nestor V. Tampol, LCC, COH, HLOH leaded the way as he represents the Supreme Council Order of DeMolay, he is then followed by the advisory council, and some members of the sponsoring body, Mt. Mainam Lodge No. 49 F. & A. M. with WM Dad Dustin Novelo, RW Dad Rolen C. Paulino, our guest of honor and speaker, followed them. 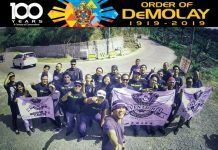 A welcoming remark was given by WM Dad Dustin P. Novelo to greet and welcome the guests who offered their full support to Ernesto C. Mangahis Chapter Order of DeMolay. Bro. Neil Frederick B. Magallanes, Dad Randy de Leon, and Bro. Archie was installed as Master Councilor, Advisory council Chapter Advisor, and President of CRICDAC No. 59 respectively. The newly inaugurated Master Councilor delivered his inaugural speech after then. The Junior Councilor, Senior Councilor, and the newly inaugurated Master Councilor, Bro Neil Frederick B. Magallanes, presented their Inspirations and their Chapter Sweetheart Sis. Rhani Rose de Leon. During the Ceremony of Roses, Bro. Mark Caseserano, who is not he Junior Councilor, delivered an inspirational talk. Leg. Nestor V. Tampol, LCC, COH, HLOH then introduced the guest speaker, RW Rolen C. Paulino, Junior Grand Warden. The guest speaker is the current Mayor of City of Olongapo, Philippines. RW Rolen delivered a highly motivational speech which highlighted by his quotes in leadership and love for Freemasonry. Bro. 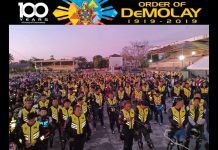 Phoebe L. Casaul, IPMC, KT delivered the closing remarks to end the ceremony followed by the acknowledgment of the guests and exit of the dignitaries of the East, installing dignitaries, and chapter officers. The event ended in a celebration of its success in a form of a feast.